Tales of redemption are rarely that. There is usually an afterword from whatever demons forced you to despair in the first place. In popular music alone, for example, Miles Davis was on vitamins and exercise at the behest of his girlfriend when he made a slew of great albums in the late 60s, only to fall apart through addiction in the mid-70s, leading to his famous 'retirement'. Then Tim Buckley, after completing a similar regime of healthy living, ending up dying of a heroin overdose in 1975 after appearing to be in unprecedented good shape. To be well balanced and composed is fleeting, it seems. So if the peak that he currently rides is sure to be followed by a trough at some point, it makes the summer that John Grant has just enjoyed all the more extraordinary for him. His album Queen Of Denmark was released quietly in April, only to be quickly declared by Mojo readers, baby-boomers and people like Bob Harris as a record for the annals in its classic take on angst-ridden songwriting, soft production from Grant's friends Midlake and deeply caustic wit. A headline show on the South Bank and a high-profile slot at the Green Man Festival followed, along with enough hyperbolic praise and over-attention as to make a man with Grant's self-consciousness issues quite uncomfortable. What Grant was forced to come back from in order to make Queen Of Denmark has left him damaged. For one, he had to deal with the truly dismal break-up of his old band The Czars, who made a few good albums and in 2004's Goodbye, one excellent one. The Czars were beset by ego problems and a lack of a cohesive vision – nothing unique there, but that on top of Grant's intense, chronic depression and growing addiction to cocaine and alcohol, ensured the singer plunged into an abyss of misery where music was neglected, and he worked as a waiter in New York to fund his habits. Add to this cocktail of dysfunction a complex, guilt-ridden relationship with his own homosexuality and you have a man too easily unhinged, but also potentially the makings of great art, which Queen Of Denmark surely is. The album has its light and witty side, like on 'Sigourney Weaver' and 'JC Hates Faggots' where Grant uses a framework of popular culture reference points to act as a backdrop to the often-excruciating emotional upheaval. Otherwise, it feels like the whole 42 years of Grant's life are crammed into just over fifty minutes, from his pain at his parents' reaction to his sexuality through to moving paeans to the enigmatic lovers who have made up his romantic life, sung about most beautifully on 'It's Easier' and 'Where Dreams Go To Die'. 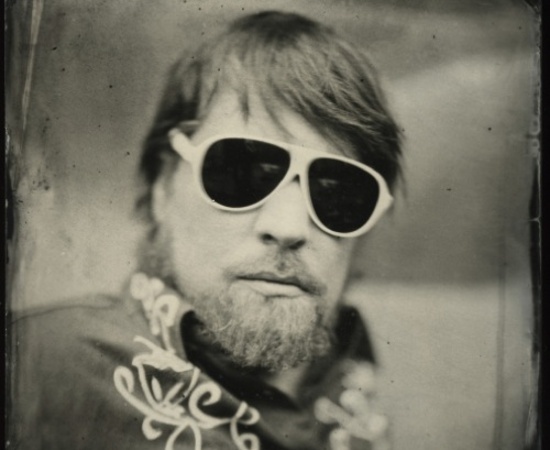 So John Grant has emerged from his own dark place once, and the results were spectacular, but as he notes in a rather heavy discussion with The Quietus, the horrors that have made his life so difficult in the past are still lurking at his shoulder. Tales of redemption are rarely that. What has your reaction been to how well the album was received? Has your life changed? John Grant: It hasn't really changed on a day-to-day basis, but for the first time it does feel like I'm going to be able to do music as a career, and I won't have to go back to waiting tables any time soon. But I am a little bit sceptical, because yes, everyone can say "great album", but then nothing happens and you don't make any money and you just go back to waiting tables. I think my back is ruined from 13 years of waiting tables. If the music thing didn't work out I'd probably do something with my language skills. Did you have a clear idea of how you wanted Queen Of Denmark to sound before you started recording it? JG: I wanted it to sound like a Carpenters record. I wanted that 70s sound, and Midlake would be able to help me reach that goal. I was really pleased by how it turned out. What specifically do you admire so much about The Carpenters? JG: Well before it was The Carpenters it was ABBA, for me, during a big chunk of my childhood. I think what drew me to The Carpenters was the velvety, soothing quality of Karen Carpenter's voice. Then you get to the choruses and there are layers upon layers upon layers of vocals and these huge harmonies. For me it was about those harmonies and that layering, but of course I didn't know how they were achieving that sound and I wasn't interested in achieving that sound, because I wasn't making music. I just knew that I loved it. Three years ago I interviewed Tim Smith of Midlake, and he talked about his obsession with the 70s singer-songwriter Jimmie Spheeris. Then I hear your album, which Midlake produced, and it sounds a lot like Spheeris's Isle Of View LP. Was he a name that came up during the sessions? JG: Yeah, I have him on my iPod but I haven't really listened to him yet. Tim really loves that guy and of course I stayed with Tim for a month so I got the Jimmie Spheeris lowdown. But I didn't really discover him for myself because I was too busy trying to create my own thing, and wasn't too open to new things at the time. A lot has been made of the confessional, emotional nature of the album, but it's also very witty and urbane. Were you keen to ensure the album wasn't purely one of heartfelt catharsis? JG: I had a feeling that if it was going to work it needed something to counter those feelings, because too much of anything is bad. Too much syrup, too much sugar needs something to balance it out, which was that dark humour, which is how I deal with things in everyday life. Usually when I start a song it's pure emotion, and then that needs to be tempered with reality and humour, because it's so subjective. Too much subjectivity can be alienating for people because it's too egocentric, but if you throw in humour and references that we can all relate to then that makes it much more accessible to everyone who doesn't know me. Could you ever have made this record while you were in The Czars? JG: No way. It wasn't an atmosphere where I had the freedom to explore my inner world the way I did with this. What Midlake did for me, both inside and outside the studio, was give me a place where I felt safe and I could let my hair down, be myself and be accepted. But making the record was also very painful, like being in labour for hours and hours before giving birth to something you are really attached to. It could only have been in this setting, and it couldn't have been in The Czars because I just wasn't there. I wasn't able to access those feelings and speak openly about them. What would you have done differently in The Czars? JG: I would have broken the group up after the first record. We didn't have any business being together and I wasn't ready to be in that setting with those people. We were there because we wanted to be successful and famous but we hadn't put the work in to achieve that. A lot of that had to do with me just wanting to drink and party all the time, and I wasn't really able to apply myself. Was Queen Of Denmark an exercise in putting certain ghosts to rest regarding your own talents? JG: Yeah. I knew I had the record in me, plus I think it was about survival. To be able to make music helps me deal with the issues that I deal with, like the constant rollercoaster of depression. But yes, I wanted to prove I could make a great record all by myself. I had Midlake as my backing band, but I wrote the music and I wrote the lyrics and it was my vision. I definitely wanted to show what I could do, though I still think I have a lot of growing to do. Were you apprehensive about going back into music when Midlake came calling? JG: I was, because it felt like a pipe dream at that point. I was building a new life for myself in New York, and wasn't sure if I really wanted to move to a small town in Texas to record a solo album that I didn't have any material for yet, and live on the good graces of other people. I was about to turn 40 when I went to do that album and was thinking I was pretty much a loser for not having my own place, a car, the 'life partner' or whatever… so sure I was apprehensive. I was thinking, "you need to get serious about your life", but somehow I knew I had to do it. And I was touched by how adamant Midlake were about me going down there to work with them. So you had to give a lot up to go and do the album? JG: I ended up giving up my apartment, which is a hard thing to land in New York. I was working at a hospital as a Russian interpreter, something you have to keep up every day of your life to become good at, and I was going away to concentrate on something else. So I felt I was doing great and had to give a lot up, but at the end of the day I had to do it and it didn't matter. You lived in Berlin for six years in your 20s. What made you do that? JG: I had visited there on a college programme, and it was a completely different planet. I was completely enthralled and couldn't believe what I was seeing, and wanted to get back there as soon as possible. I wasn't out yet to my family and was barely out to myself, and I had it in my head that I'd be more accepted as a homosexual in Europe than the States, but that wasn't true. It doesn't seem to be okay in any culture. Of course, people have made peace with the fact it's not going to go away, that these people exist, and I think a lot of parents would rather have relationships with their children rather than reject them for their sexuality. But I found out it was not a good thing to be gay in Germany either. Does your social life include a lot of gay people these days? JG: I do have some gay friends but I usually find myself hanging out with heterosexual people with families, just because these were the people I was friends with when I was younger. I'm not really a scene person, I don't have the looks or the clothes or the desire to be part of that. In New York I have an ex-boyfriend I see once in a while and he remains someone I can confide in. In Denver I have a few gay friends, but they're few and far between. When did you realise you had such a distinctive singing voice? Were there any singers who inspired you? JG: I seemed to identify most with female singers like Annie Lennox, Nina Hagen, Kristen Hersh and Kate Bush. Hounds Of Love was a huge part of my life. I didn't really think I could sing – I sang in church choir and was never considered one of the best singers. It sort of came out towards the end of my stay in Germany – I was encouraged to sing and got really nice feedback from people, and that made me explore it some more. Are you still affected by the personal problems you address on Queen Of Denmark? JG: Absolutely. Right now I'm struggling with the depression, and it's exhausting. There seems to be so many variables as far as what I eat and how much I sleep and the pills I'm taking. I'm starting to wonder if the medication I'm on is making me suicidal. They gave me new medication when I was in the hospital last year, and I'm starting to wonder because I don't feel very good right now. I need to figure that out, otherwise there's going to be trouble. Right now I feel a bit naked because I'm dealing with a lot of existential, huge issues, and I don't have the things I used to use to change the way I feel very quickly. I'm trying to figure out new ways to deal with it. Next year before I record the next album I need to get some stuff figured out so I can keep on an even keel. Your personal history is garnering almost as much attention as the album itself. Are you comfortable with that? JG: Well I don't think I have anything to be ashamed of. I think people enjoy seeing someone working through some things and talking about it openly, because people connect with those issues and everybody's going through similar stuff. And those cultural references offered something else for people to connect with. JG: I just thought it was funny, and something I could relate to. With 'Sigourney Weaver', she's just someone I'm a big fan of and she just happened to come to mind, and I wanted to give her some props in my songs. The first time I realised I could do that was when I heard a song by Mark Eitzel and I realised anything you experience and anything that's out there can be used in your songs. That was me flexing my imagination muscles and seeing what I can come up with. Is Queen Of Denmark ultimately uplifting? JG: I think it's very uplifting. It says you can go through your life with almost incapacitating self-loathing and depression and still stay vulnerable enough to reach out to people, and succeed, and keep your sense of humour. Any musical ambitions you want to fulfil? JG: I'd like to make another album that is just as good as this one, and that's going to be a difficult task, although I definitely feel up to it. I would like to sing with certain people, like Neko Case, I'm wondering if I'll have that opportunity in the coming years. But most of all I'd like to build a studio and find a place to call my home base, in either Berlin or New York.